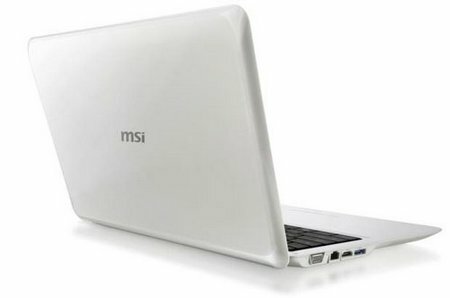 MSI has announced its new AMD Congo base ultra-thin notebook named as MSI X610, which is equipped with 15.6-inch LED backlit display, latest power efficient 1.6GHz Athlon Neo processor, ATI Mobility Radeon HD 4330 graphics card, 4GB memory, and up to 640GB hard drive to enhanced multimedia experience. In addition, the new MSI X610 notebook is also equipped with 1.3 pixel web camera, DVD burner, combo card reader, Gigabit Ethernet, WiFi wireless network transmission, and optional Bluetooth capabilities. Furthermore, users can choose a reader version of Blu-ray and an HDMI output. The notebook also integrates four Dolby-certified speakers, 2-in-1 media card reader, D-Sub, USB 2.0 ports, and microphone in and out jack. The new MSI X610 comes with lightweight design which measures just 39.2 x 25.5 x 2.5 cm and weighs only 2.1kg (with 6-cell battery) but the available launching date and pricing have yet to be announced.